boss: "you're dressed really nice today. what's the occasion?" 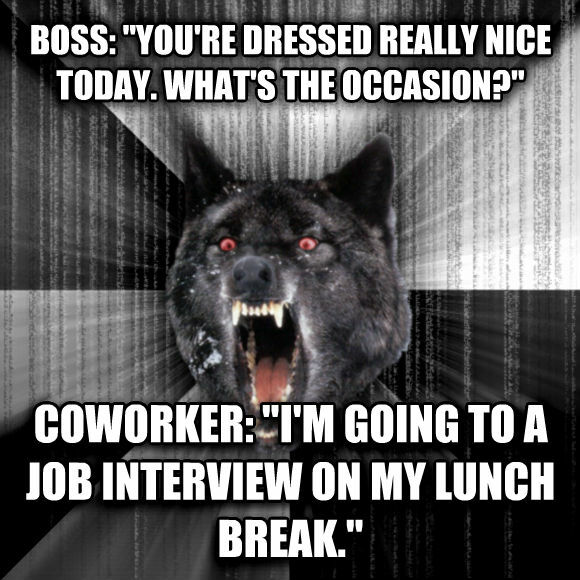 coworker: "i'm going to a job interview on my lunch break."